Aphids are devastating insect pests of crops globally and, therefore, pose a major threat to food security. Crucially, there is a lack of durable genetic crop resistance against aphids, and current control relies almost exclusively on insecticides, which are costly and damaging to the environment and to which aphids develop resistance. During feeding, these insects deliver proteins inside host plants, called effectors, to suppress the plant immune system and enhance susceptibility. We used a combination of “omics” approaches to identify and compare effector repertoires from economically important aphid species. This has provided novel insights into how aphid genomes, including effector repertoires, have evolved and revealed evidence for a shared transcriptional control mechanism, which underlies effector expression, and ultimately plant parasitism. Functional characterization of select aphid effectors revealed that these proteins associate with host plant proteins, and that these associations are linked to effector virulence activity, pointing to important parallels between plant-insect and plant-microbe interactions. Specifically, we identified a host plant cell trafficking protein and an E3 SUMO ligase to be targeted by aphid effectors and linked these interactions to plant immunity. Our findings raise important new questions that urgently need to be addressed to enable development of novel protection strategies against aphids that are durable and sustainable. Jorunn Bos is a senior lecturer at the University of Dundee and James Hutton Institute. Her group aims to understand how aphids and plants interact with each other at the molecular level. More specifically, her group tries to dissect the molecular basis of plant immunity and susceptibility to aphids, and functionally characterize aphid molecules, called effectors, that contribute to aphid virulence. 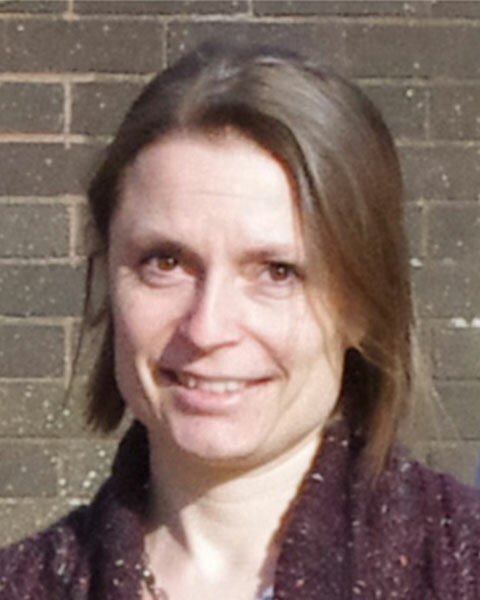 Bio: Jorunn Bos is a senior lecturer at the University of Dundee and James Hutton Institute. Her group aims to understand how aphids and plants interact with each other at the molecular level. More specifically, her group tries to dissect the molecular basis of plant immunity and susceptibility to aphids, and functionally characterize aphid molecules, called effectors, that contribute to aphid virulence.